My daughter was having a hard day. As the youngest of three she was trying to keep up with her older siblings and the neighbour kids – attempting hold her own in a series of rousing outdoor games. It didn’t go well. Nobody was being mean to her, or excluding her, or teasing her, but the reality was that she was neither the fastest, nor the strongest, nor the smartest, nor the most important of the bunch. I could hear from her voice that her frustration level was getting rather high, and intended to call her inside for a little reprieve, but was trying, as mothers do, first to finish preparing lunch before I made myself wholly available. Well, I waited just a little too long. In she came, looking fit to kill, and ready to blow, so I took a deep breath to steady myself for the storm. She looked up at me, and then holding up a pigeon feather she had found in the yard, said “look at my feather, Mama”, and without any warning, aggressively roughed it up. Growling and grumbling, she bent it and ruffled it and twisted it and scrunched it until it was but a poor crumpled shadow of its former self. I stayed with her, fascinated, as she created for herself a safe outlet for all that foul frustration. Then something changed; leaning into me with a shudder she held up the feather while all her fierce demeanor melted. “Oh Mama”, she cried, “my poor feather! look at it! It’s ruined! It’s ruined! It’s wrecked forever! And it was sooo beautiful!” and she burst into deep and desperate sobs. 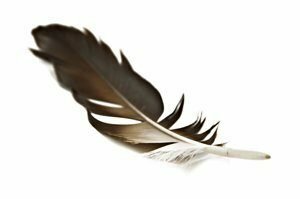 I held her, making murmuring noises about how sad it was to lose such a beautiful feather, (with some effort I resisted pointing out the obvious fact that she, herself had wantonly caused the destruction, and refrained from enlightening her about the true source of her frustration). She wailed on, in complete abandon, “I loved it! I loved it! Oh Mama! I loved it! Now it’s ugly! It’s ruined! I will never ever ever get it back! Ever!” Her tears flowed fast and strong for five or ten minutes, until, as quickly as it had come, the storm cleared, and smiling up at me from there in my arms, she hugged me hard, wiped her eyes, and asked “is lunch ready?” And it was so beautiful. Once again I was awed by the miracle of adaptation. It is only through sadness that we can let go of the the things that go wrong in our lives; when frustration builds over things that we cannot change it is sadness that drains that frustration, keeping us soft and enabling us to recover from hurt and stress. Sometimes we are far from our tears, and the frustration bursts out in aggression whether to another, to ourselves, or in this case, to a feather. When we understand aggression’s roots in frustration we see our children through different eyes, and can more easily understand their outbursts and make room for the tears that wash away the storm clouds.